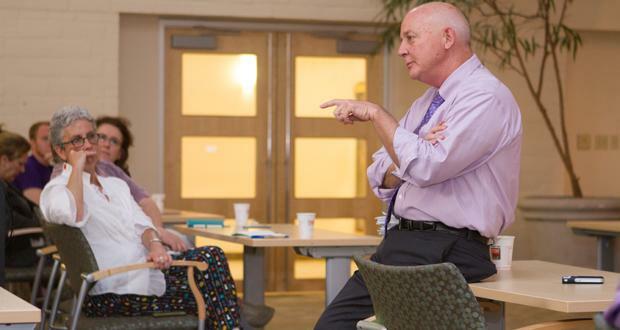 A weekly feature produced in partnership with the Journal Record, Oklahoma's weekday newspaper and website specializing in business, legislative and legal news. Editor Ted Streuli and Journal Record reporters discuss business and economic development in the state. Strong Earthquakes In Central Oklahoma Have Some Looking For Insurance That May Be Difficult To Get. About 100 companies offer quake insurance in Oklahoma, the state insurance commissioner says. But most of them won’t start a policy until we have gone without a quake for 30 days. 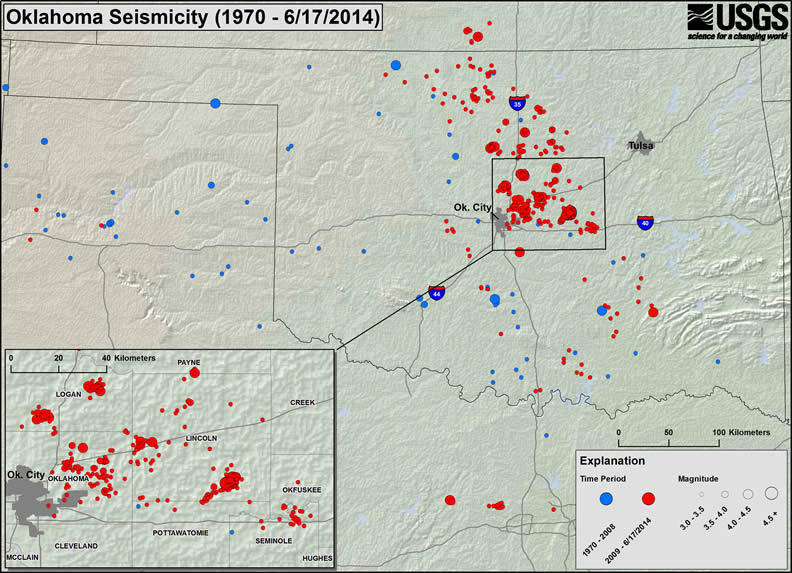 Since November, there have been more than 265 events between magnitude 1 and 4.3 in Central Oklahoma. 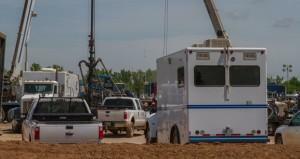 An Energy Company Drilling A Well In Norman Changes How It’s Getting Water. Finley Resources is putting in a well on Franklin Road in Norman. At first, the company ran a line directly to a fire hydrant. That led the city to raise the prices it charges high-volume commercial users. The more water someone uses, the more it costs per thousand gallons. As Finley moves into the completion phase – including hydraulically fracturing the well – it has also run a line into nearby Little River Creek. 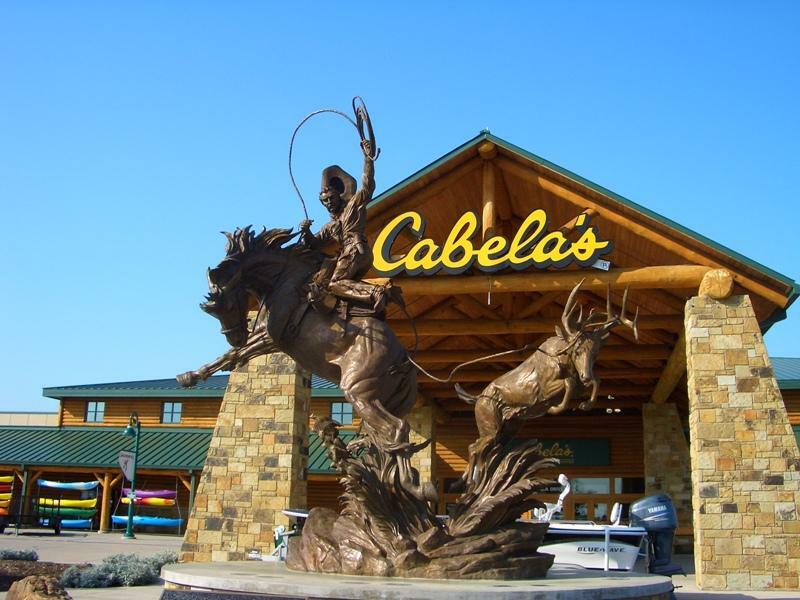 Two weeks ago, the Oklahoma City Council agreed to consider giving incentives to Cabela’s, an outdoor retailer. Then, the company announced that it will build an 80,000-square-foot store in the new Chisholm Creek development. That project is coming together near the John Kilpatrick Turnpike and Western Avenue. The city admitted that it was negotiating with the store before the announcement.